This paper outlines an argument against religious belief: the X-claim argument. The argument is novel at least in the sense that it has not yet been clearly articulated or addressed before in the philosophical literature. However, the argument is closely related to two more familiar varieties of argument currently receiving philosophical attention, namely: (i) arguments from religious diversity, and (ii) naturalistic debunking arguments (e.g. Freudian, Marxist, and evolutionary). I set out the X-claim argument, show that it has some prima facie plausibility, distinguish it from these other two arguments with which it might easily be confused, and, finally, explain why it has some significant advantages over these more familiar arguments against religious belief. In all human cultures, people believe that the soul lives on after death, that ritual can change the physical world and divine the truth, and that illness and misfortune are caused and alleviated by a variety of invisible person-like entities: spirits, ghosts, saints, evils, demons, cherubim or Jesus, devils and gods. Humans often invoke hidden agency to account for what they cannot otherwise explain. When we could not explain why the planets moved in the way they do, we supposed they must be, or be controlled by, gods. When we could not otherwise explain natural diseases and disasters, we believed them to be the work of malevolent beings, such as witches and demons. When we couldn’t explain why the seasons rolled by, or why plants sprang back to life in the spring, we supposed that these events must be under the control of other hidden agents. As a result of this tendency to reach for extraordinary hidden agency, particularly when presented with a mystery, we have hypothesized countless hidden beings and developed rich and complex narratives about them. Belief in extraordinary hidden agency is often accompanied by a belief in super-powers and super-faculties. The hidden agents are themselves typically supposed to possess certain extraordinary powers and faculties. In addition, our own ability to detect the presence of such agents is often explained by our possessing such faculties. Mediums claim the uncanny ability to experience and communicate with the dead. Some suppose they encounter or communicate with other kinds of hidden being, including demons and gods (the Delphic oracle, for example). More recently, our ability to detect hidden agents is believed to have been technologically enhanced: consider EVP, in which spirit voices can supposedly be heard in radio static. Belief systems involving such hidden agents also often include beliefs in extraordinary or magically-imbued objects – such as lucky charms, totems, and holy relics – and/or extraordinary or magical events – including planetary alignments, religious miracles, moments of divine creation. Such beliefs are not restricted to the unintelligent or uneducated. 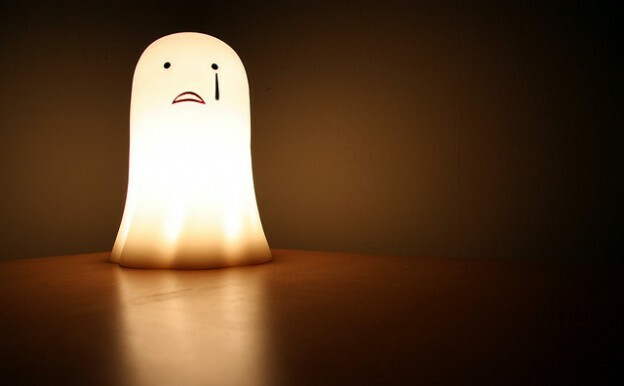 A Gallup poll conducted in 2001 suggested U.S. college students are at least as likely to believe in ghosts as the general population (40% to 39%). Even some of the most outlandish X-claim belief systems can boast sophisticated devotees. Sir Arthur Conan Doyle –creator of that quintessentially rational character Sherlock Holmes – believed in fairies and was successfully hoaxed by two little girls armed with paper cutouts and a film camera. In the U.S., Young Earth Creationism (the view that the Judeo-Christian God exists and created the universe and all living ‘kinds’ in just six days sometime in the 10,000 years) is defended by PhDs holding tenured university positions. Those who believe in such hidden beings usually consider their belief reasonable. Often, belief is justified by an appeal to testimony. Believers refer to reports of individuals (mediums, gurus, etc.) claiming either to have some form of direct knowledge of the hidden agents themselves, or at least to have witnessed extraordinary events involving them. Belief in such agency is also often rooted in certain kinds of subjective experience. Believers may report a powerful sense that they are themselves directly subjectively aware of, and perhaps receiving communications or revelations from, some kind of otherwise invisible being, be it a deceased relative, a nature spirit, an angel, or a god. Typically, this direct and immediate access is supposed to be rooted not in ordinary sense perception but in some additional sense such as a god- or spirit-sense. Henceforth, by 'subjective experiences' I'll mean experiences of this supposed sort. Sometimes, such appeals to testimony and subjective experience are supplemented by some supposedly 'hard' evidence (a photograph of a fairy, for example, or a miracle scientifically authenticated by the Congregatio de Causis Sanctorum). By X-claims I shall mean claims about such hidden beings - agents, who act on the basis of beliefs and desires, but who aren't usually visible to the naked eye in the way that human beings, cats, dogs, etc., are - and associated magical and/or extraordinary powers, faculties, objects and events. X-claims are claims with which we humans are peculiarly fascinated. They are also claims about which we have proven to be highly unreliable judges of truth. Around the world and throughout history we find communities believing, on the basis of testimony and subjective experience, X-claims that we can be justifiably confident are false. We suppose, rightly, that those who believed in the gods of ancient Egypt, Greece, and Rome were mistaken. Many within the ‘skeptic’ community believe, justifiably, that TV’s Psychic Sally doesn't really communicate with the dead, and that Conan Doyle’s beliefs in spiritualism and the Cottingley fairies were mistaken. Part of the case for supposing we're unreliable judges of the truth regarding X-claims is provided by X-claim diversity. Some beliefs involving such hidden agents are incompatible with others. Religious belief provides one obvious example – religions disagree about the number of gods, the characteristics of those gods, and so on. Only a minority of these conflicting god claims can be true. However, X-claim diversity is just one facet of a much broader range of evidence supporting the view that we are generally unreliable judges of their truth, particularly when judgement is grounded in some combination of testimony and subjective experience. Many X-claims have been straightforwardly falsified. Each year, a variety of such claims, even when they might initially have seemed well supported, are successfully debunked in the pages of Skeptical Inquirer magazine. A significant proportion has been shown to have resulted, or likely resulted, from fraud, from the misidentification of natural phenomena, and so on. Here are a few of my favourite examples (drawn from countless others): the Cottingham fairy photographs were almost certainly forged using paper cutouts by the two young girls - there were no fairies; a sneezing spirit-being supposedly witnessed and recorded by the Haunted Homes TV programme turned out to be an automatic air-freshener (though that detail was not broadcast); and the Flatwoods Monster (a man-like figure with red face and pointed hood who hissed and glided toward the group shortly after UFOs were spotted) was almost certainly a barn owl. In none of these cases was any sort of extraordinary hidden agency actually witnessed. Our tendency to systematically over-detect agency is in part due to a phenomenon known as pareidolia, where the mind perceives a familiar pattern where none actually exists. For example, we are particularly prone to see faces where none exist (in clouds, in the embers of a fire, etc.) and to hear voices in random sounds. More generally, psychologists have noted our 'readiness to attribute intentionality to objects on the basis of minimal cues' (French and Stone (2013), 197). Note that what evidence we have for our unreliability regarding X-claims is for a proneness toward false positive belief in X-claims. We know, regarding our belief in such hidden agents and associated magical and/or extraordinary powers, faculties, objects and events, that a very large proportion of these beliefs are mistaken. By contrast, there’s little evidence to suggest we're prone to false negative X-claim beliefs - i.e. that we're highly susceptible to mistakenly disbelieving in hidden beings etc. that actually are there. Struck by this peculiar proneness to false positive beliefs across the range of X-claims, those working in the cognitive science of religion have posited a mechanism to account for it: an evolved Hyperactive Agency Detecting Device (HADD) (Barrett 2004, Clark and Barrett 2010). Scientists have suggested that we have evolved to over-detect agency because, while over-detection of agency is not particularly costly to us in terms of survival and reproduction in our ancestral environment, a failure to detect agents that are there can be very costly indeed. A sabre-toothed tiger missed, for example, is likely to remove you from the gene pool. This constitutional tendency to over-detect agency explains why, for example, when you hear a rustle in the bushes as you walk home alone in the dark, your first instinctive reaction is to think 'There's someone there!' The evolution of an HADD may account for a tendency to believe an agent is present even when none can be clearly observed, resulting in belief in ghosts and spirits, for example. Of course, none of this is to say that no X-claim is true, or that no one can ever reasonably believe an X-claim. Perhaps the fairies will finally conclusively reveal themselves, demonstrating their magic to scientific experts and appearing on daytime TV. Even if the agents remain hidden, evidence sufficient to establish their existence beyond reasonable doubt might be revealed. Perhaps scientific investigation will establish conclusively that some people really can communicate with the deceased. However, X-claims aren't usually accompanied by evidence of such strength. Typically, they are justified by appeal to testimony and/or subjective experiences of the sort outlined above. Consider the following hypothetical, but I suggest typical, example of someone strongly committed to a system of belief built around X-claims. Sylvia has a strong subjective impression that the dead walk among us. She is sometimes overcome by a powerful sense that the dead are present and making themselves known to her. Sylvia has thoughts that seem to her to be communications or revelations from the deceased. Sylvia believes these thoughts often provide helpful guidance. In addition, Sylvia has investigated and finds compelling the testimony of others (friends, relations, the authors of books she has read, etc.) concerning ghosts, spirits, and communications from beyond the grave, including dramatic tales of disasters averted as a result of people receiving such messages. Suppose Sylvia is now presented with the evidence I have outlined above: evidence that we humans are highly prone to false positive beliefs in X-claims when those beliefs are grounded in a combination of testimony and subjective experience. This evidence is new to Sylvia. How should she respond? Readers familiar with the literature on epistemic defeat may anticipate an argument turning on the thought that Sylvia has just come to possess a defeater for her X-claim beliefs, and that consequently she can no longer be said to know that the dead walk among us. Defeat cases involves a belief losing some epistemic status - typically including knowledge - in circumstances of a certain kind. Here's a familiar putative example. Suppose I observe that the widgets on an assembly line look red, and so come to believe they are red. I'm then told by an authority I know to be generally reliable and trustworthy that the widgets are lit by a red light that makes even non-red things look red. On considering this case, many intuit that on acquiring this new evidence I come to possess an undermining defeater for my original belief. They suppose that, as a consequence of my coming to possess this new evidence, that I can no longer be said to know the widgets are red. Here's a second example. Suppose I seem to see a snake on the ground in front of me, and so come to believe there's a snake there. Then a reliable and trustworthy authority tells me that I have been given a drug that produces super-realistic visual snake-hallucinations. Again, many have the intuition that, given this new evidence, I can no longer be said to know there's a snake there. In both the above cases I come to possess new evidence that the method by which I formed my original belief is, in the circumstances in which I formed it, not to be trusted. And this, it's widely supposed, is sufficient to undermine knowledge. The above intuitions about defeat might now be deployed in an argument for the conclusion that, on being presented with the evidence that we humans are highly prone to false positive X-claim beliefs when those beliefs are grounded in some combination of testimony and subjective experience, Sylvia can no longer be said to know the dead walk among us. For she, too, comes to possess evidence that the method by which she formed her X-claim beliefs is not to be trusted. I will avoid framing my argument in terms of knowledge defeat. I think the jury is out on whether knowledge is lost in such cases. Maria Lasonen Aarnio (2010) suggests the intuition that knowledge must be lost in such cases is misleading. She argues that externalists should take seriously the suggestion that knowledge can be retained even in the face of seemingly strong defeating evidence. In what sense unreasonable? Consider, for example, the rule or method of belief formation that tells you to believe that p when you see that p even in the presence of good evidence for thinking that your senses are not to be trusted. This method is, in a sense, good, in that if you follows it, beliefs obtained as a result will be safe (given you can see that p only if p is true, this policy cannot produce a false belief). Someone who is presented with evidence that the method by which they acquired their original belief is untrustworthy should withhold belief. If they fail to do so, they are being (in Lasonen Aarnio's sense) unreasonable, and can be properly criticised for sticking with their original belief. But that's not to say they are not employing a reliable or safe method, or indeed that they don't know. The reason why many of us intuit that knowledge is lost in such cases, suggests Lasonen Aarnio, is that we assume that if a belief is unreasonable then it can't constitute knowledge. Lasonen Aarnio questions that assumption. Let's now return to the case of Sylvia. I shan't argue that, given the new evidence available to her, Sylvia can't be said to know the dead walk among us. Perhaps, for the reasons Lasonen Aarnio suggests, Sylvia does still know (if she really is aware of the presence of the deceased by virtue of some sort of safe method, say). However, if Lasonen Aarnio is correct, then if Sylvia continues to believe on the same basis, she no longer believes reasonably. If Sylvia sticks to her guns and continues to believe, she can be properly criticised for doing so. Perhaps we can still talk about a form of defeat in such cases, however. For if Lasonen Aarnio is correct, it remains true to say that some positive epistemic status is lost. Only what is lost is, if not knowledge, then at least reasonable belief. So let's say that in such cases we come to possess, if not a knowledge defeater, then at least a rationality defeater. When I acquire evidence that forming snake beliefs on the basis of their visual appearance is a method that, in my drugged state, is untrustworthy, I come to possess a rationality defeater for my original belief. But then it appears that so, too, does Sylvia after she acquires evidence that forming X-claim beliefs on the basis of testimony and subjective experience is an untrustworthy method. According to externalists, in determining whether Sylvia knows, we should be individuating methods externalistically. True, the methods employed by Sylvia and other X-claim believers might, from the point of view of the various subjects involved, seem very similar. However, it may be that, unlike other X-claim believers also relying on a subjective sense of presence, Sylvia is employing a method that actually is safe. She really does possess a reliably-functioning spirit sense. But then, assuming an externalist account on which, say, knowledge is true belief delivered by such a safe method, Sylvia can still know her X-claim belief is true. When it comes to assessing whether Sylvia knows, we shouldn't count Sylvia as employing the 'same method' as other X-claim believers who happen to believe on the basis of subjectively similar experiences. However note that, even if, when it comes to determining whether Sylvia knows the dead walk among us, we should be individuating methods externalistically, that's not to say that Sylvia's continued X-claim beliefs remain reasonable once she comes to possess the (in fact misleading) evidence that the method by which she acquired her beliefs is untrustworthy. Sylvia's continued X-claim beliefs are unreasonable in Lasonen Aarnio's sense because, as a consequence of her adopting a policy of continuing to believe even when presented with evidence that her method of arriving at belief is untrustworthy, Sylvia manifests a disposition that is not knowledge conducive. Religions are typically built around X-claims. They usually posit hidden agents – a god or gods – with extraordinary or miraculous faculties and powers (some forms of Buddhism being a notable exception). Associated with these super-beings are extraordinary and miraculous objects and events – miraculous healings, holy places, relics, and so on. Religions also typically involve the thought that some or all of us possess some sort of super-faculty by which we may come to possess knowledge of these beings. Mainstream Christianity is an obvious example of a religion in which X-claims play a major role. Mainstream Christians believe in an invisible agent – the Judeo-Christian God – possessing both the super-power of omnipotence and the super-faculty of omniscience. They also believe in associated extraordinary and miraculous events, including the pivotal miracle of the resurrection. For most Christians, these X-claims lie at the heart of their faith. Some add further X-claims to this doctrinal core, such as claims about holy relics (the Turin shroud, say) or the ongoing miraculous activities of saints. Most religious people – including most Christians – suppose they hold their religious beliefs reasonably, or at least not unreasonably. Many hold their belief primarily on the basis of testimony and/or subjective experience. Consider a hypothetical Christian, Peter, who supports his core Christian X-claim beliefs by pointing to testimony in the form of scripture and reports of miracles ancient and modern. In addition, Peter supposes he has direct awareness of God and the truth of various central Christian X-claims, an awareness he believes is afforded him by a sensus divinitatis and the activity of the Holy Spirit. But if Sylvia should be skeptical about her X-claims once she acquires evidence of the untrustworthiness of the method by which she acquired them, shouldn’t Peter similarly be skeptical about his religious X-claims once he learns of untrustworthiness of that same method? After all, like Sylvia, Peter considers his beliefs justified by virtue of testimony and his own subjective experiences. But the evidence reveals this is precisely the sort of situation in which we are highly prone to false positive belief in X-claims. If this evidence should lead Sylvia to withhold from believing her X-claims, shouldn’t it also lead Peter to withhold from believing? If it's unreasonable for Sylvia to continue to believe after coming to possess this new evidence, surely it is no less unreasonable for Peter to continue to believe. Note that Peter might suppose, correctly, that, unlike most X-claim believers, he really is employing a safe method of acquiring beliefs, a method that is in fact delivering knowledge. Nevertheless, Peter believes unreasonably, in Laasonen Arnio's sense, if he possesses the (in fact misleading) information that the method by which he acquired his beliefs is unreliable and not to be trusted. Under such circumstances, Peter shouldn't believe, even if, as a matter of fact, he's right in supposing he knows. Admittedly, there are forms of religion in which X-claims play little if any role. Consider an anti-realist version of Christianity on which the claims that God exists and miracles happen are not understood as being literally true, or a redacted version in which all reference to God, miracles and an afterlife are removed leaving only edifying tales and moral teaching (along the lines of Thomas Jefferson’s The Life and Morals of Jesus of Nazareth). The X-claim argument constitutes no a threat to religious beliefs of that sort. However, for many religions, including the mainstream monotheistic religions as understood by the vast majority of their followers, X-claims form an essential part of their core doctrine. And for any religion in which X-claims form an essential part of core doctrine, where those X-claims are grounded largely in testimony and subjective experiences of the sort outlined above, the X-claim argument appears to pose a significant threat to reasonable belief. (1) We are highly prone to false positive X-claim beliefs when our beliefs are grounded in just S&T. (2) Learning (1) supplies a subject with a rationality defeater for any positive X-claim belief of theirs grounded in just S&T. (3) S’s religious positive X-claim beliefs are grounded in just S&T. (4) Learning (1) supplies S with a rationality defeater for their religious positive X-claim beliefs. The above argument would appear to apply to many religious folk (and of course also to others who believe e.g., that the dead walk among us, etc.). Their religious positive X-claim beliefs are grounded in just S&T. But then, given (2), their learning (1) supplies them with a rationality defeater for their religious X-claim beliefs. In which case, on learning (1), they should cease holding those religious beliefs, and can be properly criticised for not doing so. I have suggested the above argument has a good deal of prima facie plausibility. Premise (1) is surely true. I consider premise (2) highly plausible. I now anticipate six responses to the above argument. First, believers may insist that, even if (2) is true, that’s not yet to say their religious positive X-claim belief grounded in just S&T faces a rationality defeater. It's usually acknowledged by those who frame these kinds of objection within the vocabulary of ‘defeat’ that defeaters can be defeated. If I acquire evidence that the widgets before me that look red are illuminated by a red light that makes non-red things look red, then that surely supplies me with a rationality defeater for my perceptually grounded belief that the widgets are red. But if then I acquire further evidence that I'm viewing the widgets through a filter that corrects the colour appearance of things illuminated by that red light, then my rationality defeater faces rational defeat. Similarly, while learning (1) might generate a rationality defeater for my religious X-claim beliefs grounded in just S&T, I might nevertheless possess evidence defeating that defeater. I might possess evidence of some further feature F of my situation such that, while positive X-claim beliefs grounded in just S&T are usually false, that's not the case when this further feature F is present. What might this further feature F be? What might, say, a Christian whose religious belief is grounded solely in S&T say about the peculiarities of their own situation that would allow them reasonably to suppose they possess a defeater for the rationality defeater that (1) might otherwise appear to supply? I won’t explore this issue further here other than to say that I suspect the prospects of a religious person being able to say something reasonable along these lines are fairly dim. In particular, note that to possess a defeater for the above rationality defeater, they will need good evidence that their situation involves some feature F that, when present, has the consequence that positive X-claim beliefs based on S&T are usually true. It won't do for the religious person to defend the rationality of their continued belief by just insisting without evidence that their situation differs from that of other X-claim believers in that, unlike those other believers, they really do employ a method that's safe. For even if what they insist is true, that won't rescue their belief from the charge of irrationality given this same policy of dogmatic insistence, when employed by other X-claim believers, will result in widespread false belief. That's still a policy that's unreasonable, in Lasonen Aarnio's sense, for it results in a disposition that is not knowledge conducive. Second, critics may point out that my argument won’t apply to, say, the members of isolated religious communities largely unaware of (1). The X-claim argument is a threat only so far as the religious beliefs of those aware of (1) are concerned. True. But then surely any reasonably well-informed contemporary Westerner is likely to be aware of (1). Third, the X-claim argument is not a threat to religious belief systems of which X-claims do not form an essential part. For then the X-claims might be dropped while the belief system is retained. However, typically, mainstream believers of mainstream religions consider a number of X-claims to be essential to their religion. For example, most Christians consider belief in the resurrection essential to their faith. The X-claim argument constitutes a threat to Christianity as that majority understand it. Fourth, (1) might be challenged on the grounds that by an 'X-claim' I really just mean a claim concerning something 'spooky', i.e. concerning the existence of something that, by the scientific standards of the time, counts as mysterious or hard to account for naturalistically. But then it's by no means obvious that the majority of such 'X-claims' are false. Consider, for example, the surprising claim that two spatially isolated objects (i.e. two electrons in locations sufficiently far apart that information would need to travel faster than the speed of light to get from one to another) can be such that a change in one affects a change in the other. When this prediction was made, the best physics of the day struggled to account for its truth. Indeed, its truth appeared to require the operation of what Einstein called 'spooky action at a distance'. But then wasn't this 'spooky' prediction an X-claim, an X-claim now widely considered true? Science provide numerous other examples of beliefs that are, or were, X-claims, and that are, or are very probably, true. So it is not obvious that a majority of X-claim beliefs are false. The above objection is based on misunderstanding. To begin with, note that, as I define X-claims, they are claims specifically about hidden agents. The above prediction concerning quantum entanglement involved no such agents, merely something Einstein found 'spooky'. That we're highly prone to false belief in 'spooky' things is a vague and easily contestable claim. That we're highly prone to false positive beliefs in invisible agents is a well-established and far more precisely articulated fact for which scientists are now developing a range of scientific explanations. Further, note that prediction about quantum entanglement, even if it did constitute and X-claim (which it doesn't), is in any case not grounded in S&T. The X-claim argument requires only that we be prone to false positive X-claim beliefs when they are grounded in S&T, not that we be prone to false positive X-claim beliefs when grounded in some other way, e.g. experimentally. The fifth objection is that the X-claim argument doesn't threaten religious X-claim beliefs grounded in something other than S&T. So for example, for someone who accepts theism on the basis of a philosophical argument, the X-claim argument does not, as it stands, generate a rationality defeater. However, notice that the core doctrines of religious belief systems usually extend far beyond what philosophical and non-testimony-dependent scientific argument are thought, even by the faithful, to support. That Jesus was raised from the dead, for example, is a Christian X-claim belief that even the Christian will presumably acknowledge is grounded in S&T. The resurrection doesn’t appear to be the sort of thing that could be established by means of armchair, philosophical reflection, for example. But then, even if theism can be shown to be invulnerable to the X-claim argument (given some sound philosophical argument for theism), Christianity, in so far as it requires the resurrection, still faces a rationality defeater. Moreover, note that the X-claim argument, if cogent, pulls away the safety net that an appeal to subjective experience might otherwise seem to have offered theists should their philosophical and scientific argument for theism turn out not to be cogent. The X-claim argument, if sound, makes the rationality of theism turn crucially on the success of such arguments. Here's the sixth objection. Surely, the X-claim argument establishes at best that, in so far as the beliefs are grounded in some combination of S&T, we should be sceptical about the beliefs that angels, ghosts, fairies, demons, spirit guides, ancestors, gods, and so on exist, but not whether extraordinary invisible agents exist. For perhaps, on most of the occasions on which we take ourselves to be experiencing some sort of extraordinary hidden agency, we really are experiencing such agency - it's just the way in which we categorise that agency that's mistaken. Our cultural expectations etc. misleadingly colour what we experience, leading us to suppose we're experiencing ghosts, fairies, demons, spirit guides, ancestors, gods, and so on, when in truth none of these things exist, though the extraordinary hidden agents do. But then the fact that we know we're highly unreliable judges of whether angels, ghosts, fairies, spirit guides, gods, are present should not lead us to conclude we are unreliable judges of whether hidden agency is present, and so should not lead us to be sceptical about the existence of such hidden agency per se, even if scepticism regarding the particular ways in which we characterise that agency is warranted. I'll make three comments in this response to this sixth objection. First, once we know we know that, when it comes to extraordinary hidden agency, we're highly unreliable judges of what such agency is like, that can (in at least some circumstances) suffice to raise justified doubts about our ability to judge whether there's any agency there at all. Suppose Ted, Bert, Sarah, and Alice enter a room in turn and report back what they observe. Ted reports he saw just a twenty foot giant in the room, Bert just a two inch high fairy, Sarah just a full-size lion, and Alice just a small flying bird. Their diversity of opinion won't just lead us to doubt whether there's a giant, fairy, lion, or bird in the room; we'll also be justifiably sceptical about whether there's any agent in the room at all. Scepticism about even the existence of agency appears justified when there's not just disagreement, but very dramatic disagreement, about its character, as in the above case. But isn't dramatic disagreement just what we're presented with when we turn to belief in X-claims about fairies, ghosts, spirits, gods, angels, demons, and so on? Second, the above objection overlooks the fact that what evidence we have concerning the unreliability of our judgements about extraordinary hidden agency extends well beyond mere diversity of opinion about what such agency is like. Let's suppose, for the sake of argument, that widespread disagreement establishes only that we're unreliable judges of what such agency is like, not whether it's there. Still, there remains considerable other evidence that we are highly prone to judging such agency is present when it's not. We have a well-documented tendency to over attribute agency on the basis of minimal cues (French and Stone (2013), 197). There is, for example, our well-established tendency to think agency is present when it's not due to e.g. pareidolia - the tendency to see faces, hear voices, and so on where there are none. As we noted earlier, there's also much compelling evidence of the falsehood of a large proportion of our S&T-grounded beliefs in the even the presence of such extraordinary hidden agency. See the previously discussed examples of the Cottingley fairies, the Flatwoods monster, and the sneezing ghost of Haunted Homes. There weren't real, extraordinary hidden agents that the young Cottingley girls mistook for fairies; rather, there were no such agents at all - just paper cut outs. There wasn't an extraordinary being from The Beyond wandering Flatwoods, just a barn owl. There wasn't an extraordinary hidden agent that was mistakenly categorised as a ghost in that Haunted Homes episode; rather, there was no extraordinary agent at all - just an air-freshener. And so on. Thirdly, even if it were true (which it isn't) that we're justified in being skeptical only about our categorisation of such hidden agency, not belief in its existence, even such limited scepticism will in any case spell doom for much religious belief. For, in so far as religious belief does involve belief in such extraordinary hidden agency, it tends essentially to involve specific categorisations of it (as e.g. an extraordinary hidden agency worthy of our worship, deserving our gratitude, as and so on). I'll finish with a more general comment about the above objections. Note that, even if we were to deny (2), insisting that learning (1) fails to provide a full rationality defeater for any X-claim belief grounded in S&T, it may be that learning (1) should at least lead those whose X-claim belief are grounded in just S&T to hold those beliefs less firmly, perhaps much less firmly. In which case the X-claim argument might still contribute, perhaps significantly, towards a cumulative case for skepticism regarding religious X-claim beliefs grounded in S&T. The X-claim argument is related to, but distinct from, two other popular arguments against religious belief, arguments currently receiving philosophical attention: arguments from religious diversity and naturalistic debunking arguments. As we shall see, the X-claim argument has the advantage of sidestepping certain stock objections to those other arguments. I begin with the arguments from diversity, which have been developed by Schellenberg (2000), Feldman (2007), Christianson (2009), and others. A recent example is sketched below. Goldberg concludes that such religious disagreement constitutes a defeater for the beliefs concerned. The X-claim argument and Goldberg’s version of the argument from religious diversity are clearly related. Goldberg’s argument takes disagreements between intelligent and well-informed disputants to generate some sort of defeater for religious belief. The X-claim argument similarly concludes that (many) religious beliefs at least face a rationality defeater, and it may draw on the very same disagreements as evidence. However, note that the X-claim argument appeals not just to disagreement but to a much broader range of evidence of unreliability. Considered in isolation, mere disagreement between intelligent and well-informed disputants, if it discredits the competing beliefs at all, discredits them all, including, in this case, non-belief or atheism. The X-claim argument, by contrast, brings into play a wider range of evidence to support, not the view that every party to the dispute has a pretty good chance of being mistaken, but that those who believe religious X-claims on the basis of subjective experience and testimony are far more likely to be mistaken than are the skeptics. The 'proves too much' objection. If systematic disagreement between the intelligent and well-informed is sufficient to require that we withhold from believing, then we will have to withhold in many other spheres too, such as the political, philosophical and moral spheres. Yet surely I can continue reasonably to maintain my political, philosophical, or moral position even whilst acknowledging that there is a good number of intelligent well-informed people that disagree with me. In short, the principle on which the argument from disagreement is based, if applied consistently, would require us to embrace an absurdly wide-ranging political, philosophical, and moral skepticism. Alvin Plantinga uses a hypothetical example to elicit the intuition that we might reasonably continue to hold a moral belief even after discovering others disagree. Suppose you think it wrong for a counselor to use his position of trust to seduce a client, but you discover others disagree: they think it a minor peccadillo, like running a red light when there’s no traffic. Plantinga suggests that even if you think the dissenters have the same ‘internal markers’ for their beliefs (it seems no less obvious to them that they are right, even after careful reflection, etc. ), you can reasonably continue to maintain your belief, and perhaps become even more committed to it after additional reflection. You may suppose that those others are in some epistemic way less fortunate or well-placed than you. (Plantinga (2000), 190). But if you are entitled to stick to your guns in the political, philosophical and moral case, then why not in religious case? The problem of self-defeat. Intelligent, well-informed epistemologists disagree about whether we should withhold belief on discovering that there are intelligent and well-informed individuals who disagree. But then consistency requires proponents of the argument from religious diversity to abandon the very principle on which their argument is based: that where such disagreement occurs, belief should be abandoned. Whether or not the argument from religious diversity succumbs to the above two objections, the X-claim argument avoids them. The X-claim argument avoids the 'proves too much' objection for it does not require that where there is disagreement between the intelligent and well-informed, belief should be withheld. The X-claim argument allows the bar requiring that belief be withheld to be set much higher than that, as the following analogy makes clear. Suppose a space probe is sent to a remote planet on which it is suspected life might exist. The probe transmits back to Earth data from which scientists subsequently draw very different conclusions. Some scientists believe the data reveals there are trees are growing at the landing site. Others believe the data reveals not trees but flowers. Still others believe the data reveals neither trees nor flowers but ferns. There are also scientists who are undecided, and scientists who believe, on the basis of the transmitted data, that no plant life is present at the landing site. Clearly, not all these intelligent, well-informed scientists can be correct. Their disagreement reveals many must be mistaken. That disagreement, considered in isolation, casts a shadow of suspicion over all their respective verdicts. On discovering their disagreement, should these scientists withhold from believing their respective verdicts? Perhaps not. Perhaps such skepticism is, at this point, unwarranted. After all, if they are to abandon a verdict whenever they discover intelligent, well-informed people disagree, then the fact that there’s disagreement among the scientists about whether verdicts should be abandoned in such circumstances should lead them to abandon their verdict that such verdicts should be abandoned (the problem of self-defeat). But now suppose further evidence is discovered indicating that the lab where all these scientists are working has been infected with some as yet unidentified causal agent that has a strange psychological effect – it strongly inclines scientists to believe they have discovered one or another form of plant life whether or not they’ve actually done so. This agent, whatever it turns out to be, produces a high proportion of false positive beliefs. The shadow of suspicion generated by their mere disagreement fell on all the scientists’ respective verdicts. This new evidence shifts that shadow away from the verdict of those scientists who were skeptical about the presence of plant life and deepens it very considerably over the verdicts of those claiming there is one or other form of plant life growing at the landing site. Perhaps, prior to this last discovery, all of the scientists concerned might reasonably have maintained their respective beliefs about plant life on the planet, notwithstanding their disagreement. But, given this new evidence, surely those scientists who previously judged there to be plant life present should now be revising their verdict. The X-claim argument similarly points, not merely to disagreement between intelligent and well-informed individuals about which of various competing X-claims, if any, are true, but to evidence of some sort of causal factor or factors (perhaps as yet unidentified) strongly inclining humans to believe X-claims on the basis of S&T irrespective of whether those claims are true, with the result that there’s a high proportion of false positive beliefs. My suggestion is that this additional evidence should lead X-claim believers to withhold, even if mere disagreement concerning competing X-claims should not. The X-claim argument is also immune to the problem of self-defeat. It is not self-defeating in the way the argument from religious diversity is supposed to be, for it does not depend on the thought that where there is disagreement between the intelligent and well-informed, belief should be withheld. A number of arguments against religious belief have been offered grounded in the thought that religious belief can, in one way or another, be explained naturalistically. Marx and Freud offer such naturalistic explanations. According to Marx, religious belief is a product of social dysfunction and dislocation. According to Freud, religious belief is a result of wish fulfilment. More recently, evolutionary psychology has offered naturalistic explanations of religious beliefs in terms of, for example, the HADD (mentioned above) and minimally counterintuitive concepts. Such naturalistic explanations may be supposed not just to explain religious belief, but to explain it away. For example, in Breaking the Spell (2010) Daniel Dennett argues that findings in the cognitive science of religion support atheism. Why suppose such explanations don’t just explain religious belief but explain it away? As characterized by Guy Kahane, debunking arguments are ‘arguments that show the causal origins of a belief to be an undermining defeater.’ (2010, 106) While all beliefs have explanations, not all have explanations in terms of processes that, as Kahane puts it, ‘track the truth’. If someone decides on whether or not to believe that p by flipping a coin, there would be no connection between their means of forming belief and the truth. Kahane calls processes that are not truth-tracking ‘off track’. According to Kahane, the second-order belief that a certain belief was formed by an off-track process can constitute an undermining defeater for that belief if the off track process ‘leaves no space for the contribution of processes that would, in this context, track the truth’. To illustrate, in the coin-flipping example, the process generating the belief is not just off-track, but such that it squeezes out contributions from processes that are, as it were, on-track. That's not always the case. You might explain my belief that there are fish in the local river by pointing to my strong desire to believe there are fish there. Now it may be true that my strong desire to believe did indeed play an important causal role in producing my belief: without it, I would not have investigated the river. But while that strong desire is an off-track mechanism playing some significant role in the production of my belief, it doesn't preclude an on-track process playing a role, and so it doesn't preclude my knowing there are fish in the river because, say, after investigating as a result of my strong desire I actually caught one. If Kahane is correct, Marxist, Freudian, or evolutionary explanations of religious belief will succeed in debunking religious belief only if they invoke off-track processes leaving no room for processes that are on-track. How might religious belief be defended against such naturalistic debunking arguments? Such argument are often criticized on the grounds that, while the explanations offered might account for religious belief, little reason is supplied for supposing the explanations are actually correct. Plantinga raises this objection with respect to Freud who, Plantinga notes, offers ‘no more than the most perfunctory argument’ that religious belief actually is a product of wish fulfilment (Plantinga (2000b), 195-6). Evolutionary explanations of religious belief have similarly been criticized for offering little more than ‘just so’ stories lacking evidential support. (see e.g. Ratcliffe (2006), 94). A second standard line of defence against naturalistic debunking arguments is to suggest that, even if the explanation offered is correct, that’s not yet to say religious belief is debunked. There may be reason to distrust religious beliefs that are purely a product of social dysfunction, or wish fulfilment, or an HADD, as these are mechanisms we can have little confidence will produce true beliefs. But why should the involvement of these off-track processes preclude the involvement of processes that are on-track? So, for example, Plantinga says about Freud’s explanation of religious belief that while wish fulfilment might not generally be aimed at truth, in the case of theistic belief it could be. Plantinga suggests God may have designed us with a deep need to believe in him and be aware of his presence – that's how God has arranged for us to come to know him. If so, then the mechanism governing the formation of theistic belief is aimed at true belief even if that belief arises from wish fulfilment. And so it can still deliver knowledge. (Plantinga (2000b), 197) Psychologist Justin Barrett similarly insists that finding natural mechanisms that account for religious beliefs fails to debunk them: ‘Christian theology teaches that people were crafted by God to be in a loving relationship with him and other people… Why wouldn’t God, then, design us in such a way as to find belief in divinity quite natural?’ Philosopher Michael Murray concurs: ‘God set up the natural conditions so that, pace the objection, natural selection does select for reliable religious belief forming mechanisms’ (Murray (2007), 398). In short: the correctness of an explanation of religious belief in terms some natural process that is usually off-track does not preclude that process forming part of some larger, divinely-engineered process that is on-track. Whether or not the above two objections to naturalistic debunking arguments against religious belief succeed, the X-claim argument, while closely related to such debunking arguments, is immune to them. Of course the X-claim argument has something in common with naturalistic debunking arguments. Both aim to provide a kind of defeater for religious belief, and both aim to do this by providing evidence of there being something unreliable or untrustworthy about the way religious beliefs are formed. However, unlike Freudian, Marxist, and evolutionary debunking arguments targeting some specific religious belief, the X-claim argument does not require some particular naturalistic explanation of the target belief be correct. The X-claim argument merely points to our systematic unreliability with respect to religious and other X-claim beliefs (when grounded in S&T) and concludes that this supplies a rationality defeater for anyone who believes an X-claim on the basis of S&T. It’s evidence of our general human proneness to false belief in X-claims when grounded in S&T, rather than evidence of the correctness of any particular explanation for the target X-claim religious belief, that is supposed to generate the defeater. It matters not what the correct explanation for the target belief is. Indeed, it might actually be a product of some divinely-engineered, wholly supernatural, on-track process (the operation of a sensus divinitatis, say). My suggestion is: given the range of evidence we have regarding belief in X-claims, an X-claim belief grounded in S&T - even if it is as a matter of fact a product of such a divinely-engineered, on-track process - still faces a rationality defeater. So it appears the X-claim argument is invulnerable to both the above objections to naturalistic debunking arguments. This objection is based on misunderstanding. My claim is that we are highly prone to false positive X-claim beliefs when they are grounded in just S&T, and this provides us with a rationality defeater for such beliefs. Note, first, that the claim that such beliefs can be explained naturalistically plays no role in my argument. It's not the likely correctness of some naturalistic explanation for our proneness to false positive X-claim beliefs that provides the rationality defeater, but that proneness itself, which various naturalistic mechanisms have been invoked to explain. Indeed, even if it turned out our proneness to false positive X-claim beliefs had some non-natural cause (it turned out, say, that some mischievous demon is causing us mistakenly to suppose our dead ancestors, gods, etc. are revealing themselves), that wouldn't undermine the X-claim argument. Secondly, while diversity of X-claim belief plays some role in supporting the claim that we're systematically prone to error when it comes to X-claim beliefs, it is not - as it is in the argument from religious diversity - diversity alone that is supposed to generate a defeater, but that diversity in combination with considerable evidence for a proneness to false positive beliefs. It's that further evidence that gives the X-claim argument two significant advantages over arguments from diversity: it avoids both the 'proves too much' objection and the problem of self-defeat. I hope this paper will give pause for thought to those who believe that standard objections to the argument from religious diversity and naturalistic debunking arguments have effectively neutralised those arguments against religious belief. Perhaps they have. However, there appears to be another argument in the vicinity that is rather more formidable: an argument that has, until now, been overlooked. BOYER, PASCAL (2002) Religion Explained, The Evolutionary Origins of Religious Thought. New edition. (London: Vintage). CHRISTIANSON, DAVID (2009) 'Disagreement as Evidence: The Epistemology of Controversy', Philosophy Compass, 5, 756 –756. CLARK, KELLY JAMES AND BARRETT, JUSTIN. L. (2010) 'Reformed Epistemology and The Cognitive Science of Religion', Faith and Philosophy, 27, 174-189. CONAN DOYLE, ARTHUR (2001) The Coming of The Fairies (Calgary, Alberta: Theophania Publishing). DENNETT, DANIEL (2010) Breaking the Spell: Religion as a Natural Phenomenon (London: Penguin). FELDMAN, RICHARD (2006) Epistemological Puzzles About Disagreement. In Epistemology Futures, HETHERINGTON, STEPHEN (ed.) (Oxford: Oxford University Press). FRENCH, CHRISTOPHER C. and STONE, ANNA (2013) Anomalistic Psychology (Basingstoke: Palgrave MacMillan). GOLDBERG, SANFORD C. (2014) 'Does Externalist Epistemology Rationalize Religious Commitment? ', in Religious Faith and Intellectual Virtue, CALLAHAN, LAURA FRANCES and O'CONNER, TIMOTHY (eds.) (Oxford: Oxford University Press) 279-298. KAHANE, GUY (2010) 'Evolutionary debunking Arguments', Nous, 45, 103-125. LACKEY, JENNIFER (2003) 'A Minimal Expression of Non-Reductionism in the Epistemology of Testimony', Nous, 37, 706-723. LASONEN AARNIO, M. (2010) 'Unreasonable Knowledge', Philosophical Perspectives, 24. 1-21. MURRAY, M. J. (2007) 'Four Arguments That the Cognitive Psychology of Religion Undermines the Justification of Religious Belief', in BULBULIA. J. et al., (eds). Evolution of Religion: Studies, Theories, and Critiques (Santa Margarita, CA: The Collins Foundation Press), 394-398. NICKELL, JOE. (2001) Real-Life X-Files: Investigating the Paranormal (Lexington KY: University Press of Kentucky). PLANTINGA, ALVIN. (2000a) 'Pluralism', In The Philosophical Challenge of Religious Diversity, QUINN, PHILIP L. AND MEEKER, KEVIN (eds.) (New York: Oxford University Press), 172-192. (2000b) Warranted Christian Belief (Oxford: Oxford University Press). RATCLIFFE, MATTHEW (2006) 'Neurotheology', In MCNAMARA PATRICK (ed.) Where God And Science Meet: The Neurology Of Religious Experience (Westport: Praeger), 81-104. SCHELLENBERG, J. L. (2000) 'Religious Experience and Religious Diversity: A Reply to Alston', in The Philosophical Challenge of Religious Diversity, QUINN, PHILIP L. and MEEKER, KEVIN. (eds.) (New York: Oxford University Press), 208–217. (2000) Knowledge and its Limits (Oxford: Oxford University Press). Source: Jan-Feb issue of The Skeptical Inquirer 2006. I choose this title partly because such beings were a focus of The X-Files TV programme. Robert Carroll, 'Pranks, Frauds, and Hoaxes from Around the World', Skeptical Inquirer vol 28.4 July/Aug 2004. Related to me by Professor Chris French who was involved in the programme. See Joe Nickell, 'The Flatwoods UFO Monster', Skeptical Inquirer vol 24.6, Nov/Dec 2000. Of course, if a certain deity exists, then everyone who disbelieves in that deity holds a false negative belief. Still, the track record of disbelieving in deities remains strong given the vast majority of deities in which people disbelieve don't exist. Quoted by Robin Marantz Henig ‘Darwin’s God’ in The Guardian, 4 March 2007. My thanks to John Hawthorne and an Oxford University New Insights and Directions for Religious Epistemology seminar for comments an earlier draft of this paper, and also for helpful and detailed feedback from Max Baker-Hytch. Perhaps a Christian (say) is, like me, an externalist and we agree that "knowledge is true belief delivered by (such) a safe method". He claims that his knowledge of the presence of the living Jesus is indeed delivered by a safe method, namely his experience. I point out that such S frequently disagree with each other, so that the method cannot reasonably be regarded as safe. If I am right, then the Christian cannot be said to know that his religion is true, even if in fact it is. But he will no doubt reject my argument, on the grounds that it is his experience, that he finds it incredible that any conflicting experience could have the same quality, and that he simply infers that other purported experiences incompatible with Christianity were inferior. I do not think that you can prove him unreasonable. He has evidence that you (in the nature of things) don't, and plausibly considers himself better placed than you to evaluate it. The only defeater that I find convincing for such belief is the demonstration that it has implications known to be false. One such is the belief that there is such a place as heaven, into which the disciples saw Jesus ascending. But I use this argument with caution - I have discovered that it strains such friendships as I have with Christians. Could I add further to your first comment on the sixth objection that, not only do people report agencies differently, they also report what the agencies intend very differently, often contradicting each other. Could not someone mirror this argument against well-established and accepted scientific knowledge too, by focusing on a particular cognitive function? Plantinga offers a general argument against the rationality of beliefs generally, if evolution and naturalism are true, but perhaps a Y-claim could be that we have a history of false-positive beliefs in empirical matters, given the overwhelming number of (it turns out) incorrect scientific theories about the world? So it would be unreasonable to believe the earth is round. Perhaps this Y-claim suffers from being too vague, while the X-claim is handily specific and well-tested. I just can't imagine what you think you said that is different from what any average atheist ways on any given message board. You just privilege doubt and treating it as a positive proof. atheism is diverse, I have seen atheists on the net saying unity among atheists is like trying to heard cats, but you rationalize that diversity as though it somehow doesn't count. I have written a response to your argument mostly dealing with what I believe is an inadequate reply to the 5th objection you predict. I would be honored to hear your thoughts on it. From the fact that we have the propensity to form false beliefs in any number of fields, it does not follow that we should not trust any beliefs formed in these fields. Truth is not a matter of averages. What most people think about science or about philosophy or about art is irrelevant. To judge an idea we have to judge the best expositions of it. And, quite frankly, the best philosophers in religious metaphysics have outgrown making X-claims on S&T experiences at least since the time of Aristotle. So your whole project strikes me as somewhat misconceived. I'd like to make some more specific comments. 1. You ask about what the defeater-defeater may be. I'd like to suggest that one defeater-defeater is that the alternative of a non-religious reality appears to be much more unreasonable and based on much more shaky truth-tracking processes. Metaphysics is too difficult for us to be able to judge the reasonableness of a particular belief in isolation. It is in practice much more effective to *compare* the reasonableness of mutually exclusive beliefs. Currently the strongest religious belief in metaphysics is philosophical theism (not “biblical Christianity”) and the strongest non-religious belief in metaphysics is scientific naturalism (the view that reality is exhausted by the objects the physical sciences study). In my judgment the conceptual problems that plague the latter belief are far more serious than the former, and this realization defeats any defeaters I may have for theism. 2. The diversity of claims in some field should not worry us too much since they may well not contradict each other. For example, one person may describe the peak of a mountain as rounded and another person may describe it as pointy, and they may both be right - since the first may be observing the mountain from the south and the other from the east. The same thing can be experienced differently be different people, and thus may be described differently. Religious language concerns the metaphysically ultimate nature of reality, and it is only to be expected that such language may not only poetic but also superficially diverse. For example the metaphysically ultimate nature of a religious reality may have both personal and non-personal aspects, and different religious discourses may concentrate on the one or the other dimension. Or consider a much easier field which is the nature of the physical world, and observe that here scientists increasingly disagree about its most basic characteristics (which moreover clearly do contradict each other). So, for example, they disagree about whether there is one universe (the one we see around us) or many parallel ones, about whether our own universe stays put or perhaps in every instant multiplies itself into a humongously large number of almost identical copies (see the so-called “many worlds” interpretation of quantum mechanics), about the fundamental question of whether physical reality itself (not the equations) is deterministic or not, whether time has a beginning or not (time in our universe probably has a beginning, but if physical reality consists of many parallel universes then the question is still open), about whether space is finite or not, about how many physical dimensions there are (there is even a suggestion that we live in a two-dimensional hologram), and even whether the universe is real or perhaps a computer simulation (see “computer simulation argument”). But from this confusing and self-contradictory diversity of scientific opinion it certainly does not follow that scientists must be imagining things. Given Plato's cave I think it is clear that many alternative realities are consistent with the whole of our current experience of life, and thus that many different descriptions of reality may be true. The best we can do is discuss which of them is more reasonable, and have faith that what is more reasonable is also more probably true. A matter of faith which, incidentally, fits naturally to theism but not to atheism. The X-Claim Argument is an argument that is grounded upon naïve realism.